Foundation 101 (F101) is a partnership with parents of young men ages 6-21 committed to equip, empower and engage young men to overcome the challenges of life. Our Mission Statement: To positively impact the Knoxville community by improving the condition of young men. Christian men committed to praying for your young man. Biblical Teachings to enhance your young man’s spiritual growth. Resources to contribute to the social development of your young man. 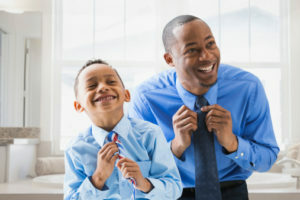 Organized opportunities to build your young man’s character. Fun team activities to encourage academic success, vocational knowledge & life skills. Exposure to various multi-cultural arts. Volunteers and Men-tees: Volunteers and men-tees are encouraged to sign-up by clicking on the links below to download the applications. Completed forms should be emailed to f101@fosterchapelbaptist.com.